On April 8, 2014, Microsoft will retire Windows XP. For businesses still on Windows XP, the end of critical security updates most likely means a migration or the implementation of costly security measures. Adding to the bad news is the fact that it could take more than two years for certain businesses to migrate off the operating system. If your company or clients still have critical systems running Windows XP, here's what you need to know as the deadline for the end of support approaches. Microsoft issued the final security update to its time-honored Windows XP operating system, sunsetting software that was first released to the public in 2001, but still has some businesses clinging to it today. Despite warnings of doomsday on April 8, security experts tell CRN that additional security measures can mitigate many of the threat risks to Windows XP. Microsoft will end support for Windows XP on April 8, but it recently said it will extend some limited security and license registration capabilities. Find out what will be supported, how controls can reduce the risk of an infection, and why it is time to move to a more modern operating system. Here's a simple program for migrating customers from the old to the new. Microsoft SMB channel executive Cindy Bates says partners should be talking to XP-using customers about migrating to Windows 8.1, not Windows 7. As the deadline approaches for ending Windows XP and Office 2003 support, Microsoft partners are told to warn public sector and government agencies about support costs and business disruption. As the deadline nears for Microsoft ending Windows XP security patches, it's advising partners to tell customers that disconnecting PCs from the Internet won't protect them. 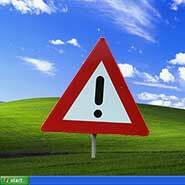 Businesses not ready for the end-of-life of Windows XP in April 2014 could be strapped with implementing costly security measures to reduce increased risks, Microsoft said.